I’m headed to Johnson City on this beautiful fall morning to take some work to Amanda Smith’s Gallery. It’s a new gallery for me, and I can’t wait to meet Amanda. Then it’s off to the Pearl for the San Antonio Clay Arts Festival. 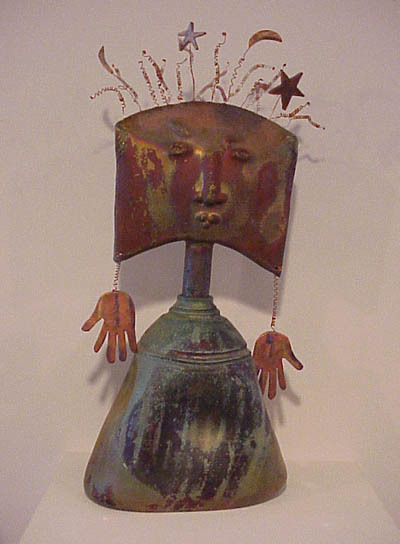 I’m hoping that some of my favorite potters will be there, like Marcia Dahlman – love her work. And then — TAH DAH – I’m going over to the new studio to do a little planning and a little art. 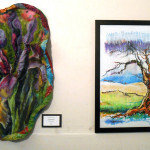 It’s so nice to have a comfortable space close to home to hold workshops and explore new directions for my own art. If you missed the newsletter yesterday, here’s a short video preview of the space – not quite settled, but almost. A new place of creative belonging . . . from Lyn Belisle on Vimeo. Oh, if you did miss the newsletter, another exciting happening is an invitation-only trunk show and sale with Monika Astara on December 10th from 11am-1pm at my home. If you’d like to be on the list and get details and an invite, just email me. Monika’s designs are perfect for the holidays – elegant and easy. The icing on the weekend cake will be a Sunday get-together with uber-talented Michelle Belto – we are planning an exciting collaborative website for 2017 that will be totally unique. Michelle and I have worked together for several years – here’s a video from one of our first collaborations – always fun to revisit. I hope YOUR weekend is a happy one – thanks, as always, for keeping up with SHARDS and me! 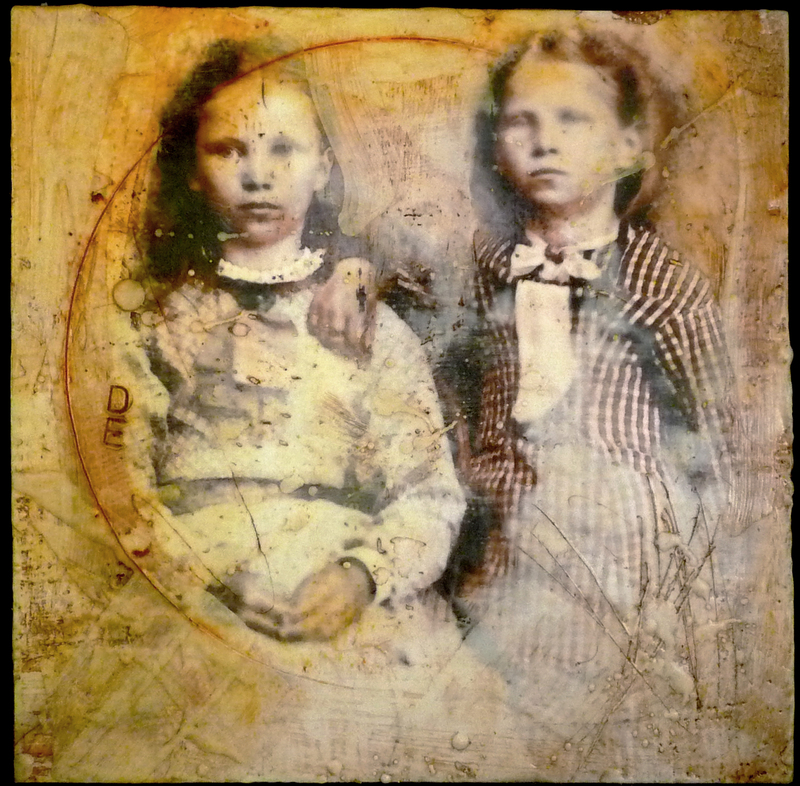 Saturday and Sunday I taught two encaustic workshops at the Studio – both were what’s become the signature class called “Behind the Veil.” We work with vintage photos, learn about the AB3s of composition, and create lovely little mixed media stories that have depth and mystery. On both days, everyone was relaxed, happy and spectacularly creative. I thoroughly enjoyed the company! The video shows happy smiles and super-nice work. Page Four has a list of materials that you’ll need to do this project along with some great tips on image sources, and Page Five shows you how to set up your workspace and gives you wax and safety info. Help yourself to these, and if you’d like to download the whole eBook, you can get it here. 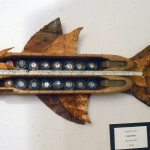 The show opens on June 2 at the Sage Gallery in Portland, Oregon. Michelle Belto introduced me to encaustic painting several years ago (thanks, Michelle!). And then I worked with Clare in her online class in January of 2015. 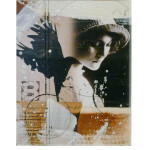 With her guidance, I was able to craft a personal encaustic style that worked well for me. Clare and I became friends, and her sold-out classes at my Studio this past January were hugely inspiring to all of us. 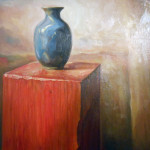 It’s an exciting medium with unlimited possibilities for both the photographer and the painter. I’m delighted to be included in the 2016 National Juried Photo Encaustic Exhibition Michelle Belto’s work is included as well. You can see all of the selected works on this page. It’s obvious that the old chicken-and-egg question applies – “which came first?’ – did the medium inspire the image or did the image call out for the medium? Fun stuff. 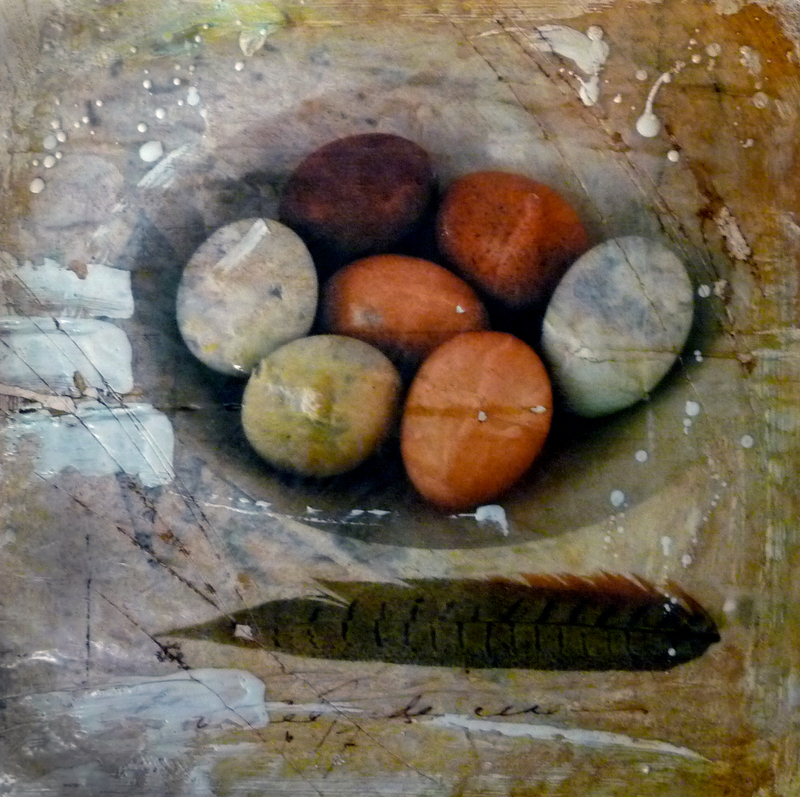 If you’d like to know more about Clare’s photoencaustic workshops, here’s a link. 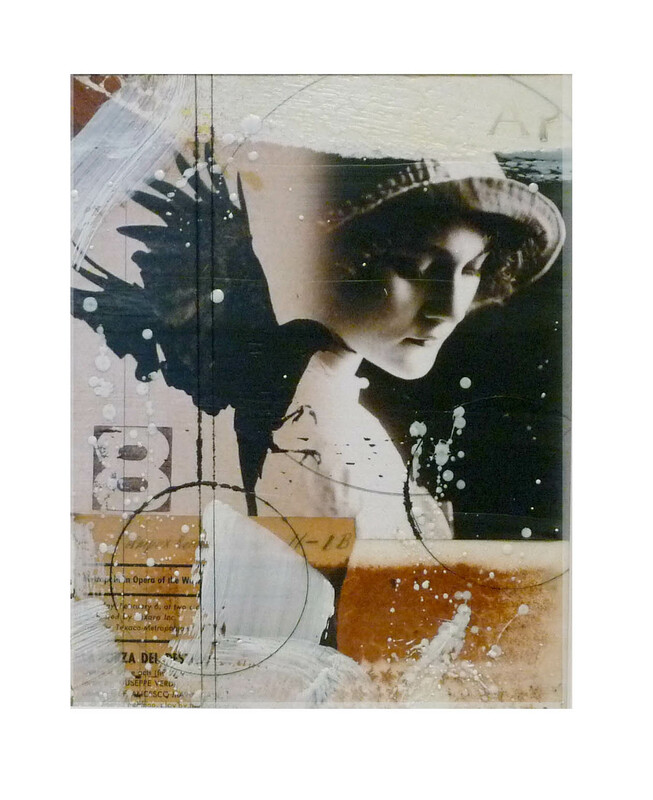 I’m also teaching three encaustic workshops in August which have sold out, but I’ll be added a second session of Vintage Veils: Encaustic Photocollage on Saturday, August 13th. It isn’t listed yet on my Workshop Calendar, but if you’d like a spot, email me and I’ll put you on the list. Now get out your camera and melt some sweet-smelling warm beeswax to enhance your images! I’m packing for Round Top and Vivi Magoo this morning, but before I leave, I gotta tell you what happened this weekend. 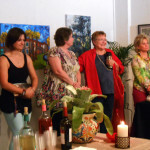 First, there was Monika Astara’s amazing sale on Saturday, and then there was a great meeting of the South Texas encaustic group on Sunday – and then last night, plans for an incredible workshop were finalized with the amazing Clare O’Neill. It still seems like a dream, but Clare really is coming to teach at my Studio in January of 2016. 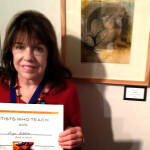 She has been such major influence in my new work – several artist friends have taken her class on my recommendation and everyone agrees that she is an extraordinary teacher and artist. Here’s a post I wrote during her online class in February. Even at that early stage, I knew I was on to something special with Clare. I haven’t announced it yet on my webpage, so you’re the first to know – here are the details (click on the image below for the online version). Two people signed up yesterday, so there are only six spaces left. 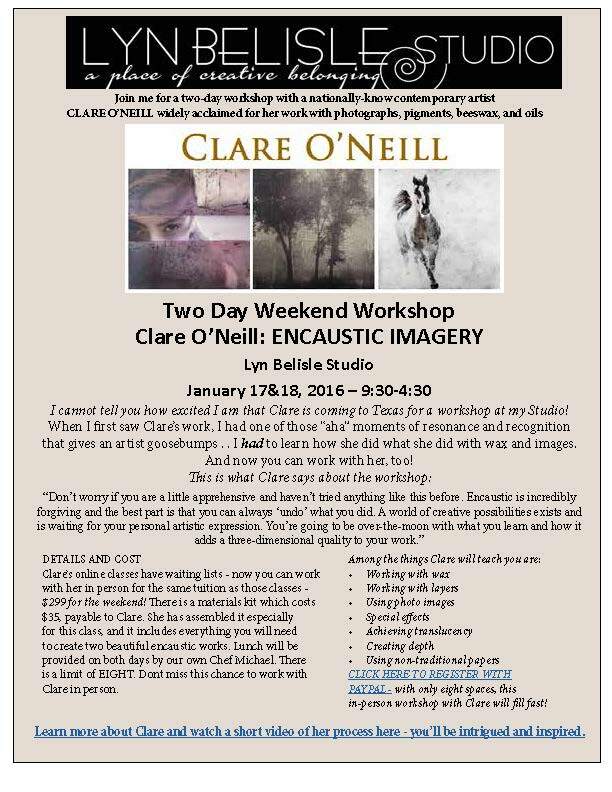 If you know you’d like to meet Clare and work with her in person at my Studio for two days (yay! ), sign up now. And if you’d like to hold a spot with a $50 deposit, just send me an email. A HUGE wake-up call – thanks to my fellow art educators! If you read my recent post, you know how excited I am about working with beeswax and digital photos (thanks again, Clare O’Neill). 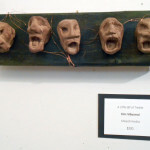 Friday evening I got a wake-up call – literally – validating my artistic intuition. 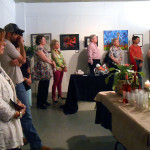 Thanks to two super friends, Gloria Hill and Melissa Wittman, I made a last-minute entry in the Artists Who Teach show at Blue Star which opened Friday. 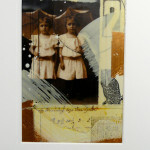 I chose a wax and tissue photocollage titled – guess what – “Wake-Up Call.” And it won Best of Show!! I was stunned and incredibly grateful, both for the astonishing award and the validation of a new direction. It is an especially meaningful honor because it came from one of the most talented group of friends and peers that I know – art educators. Take time to thank an art teacher today – what gifts they give. 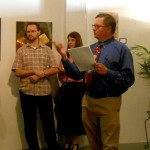 And support the San Antonio Art Education Association. They rock! 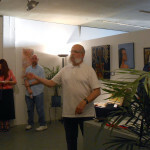 Special thanks also to juror Jim LaVilla-Havelin, artist and poet and mentor, for the conversation we shared after the awards. He is so wise! 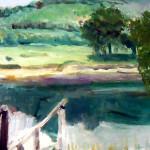 I’ll share his piece of wonderful advice with everyone – Jim said, “Never paint for a specific juror – it will backfire. Paint your heart, paint you best without compromise.” . . . . Wow. Life is good. 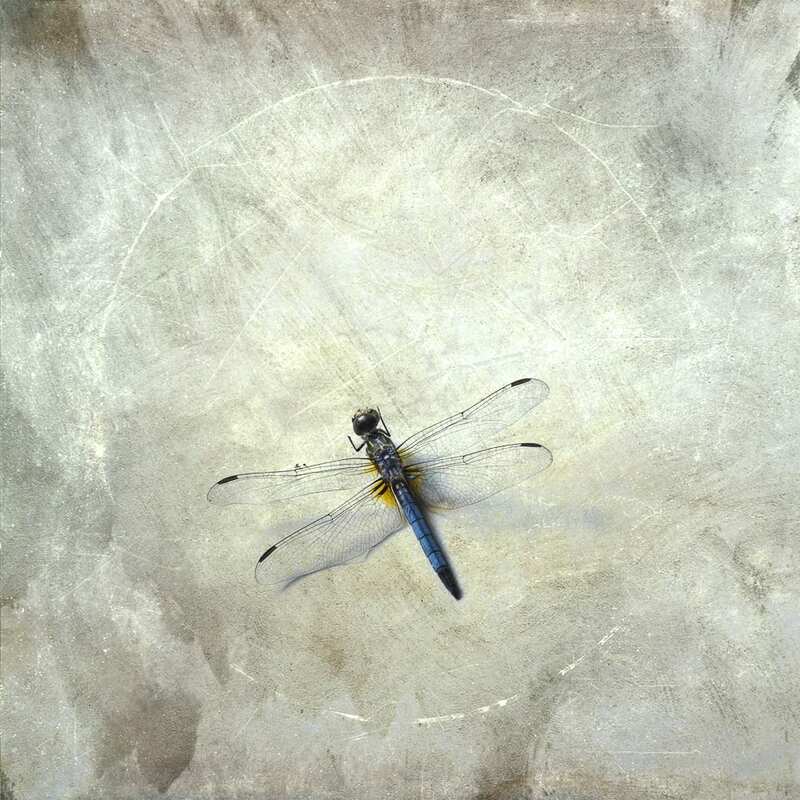 To get prepared for my Beeswax Collage workshops, I’m taking a fairly intensive online course with PhotoEncaustic artist Clare O’Neill. There are about 24 people in the class, and we meet both on Facebook and in the online classroom to watch Clare’s videos and to question and critique our work. I love the flexibility of the class. We’re in our third week right now. 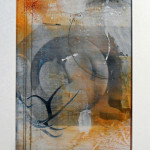 Here’s a video of Clare’s work – you can see why I was attracted to it. She’s passionate about what she does and she’s a good teacher, too. 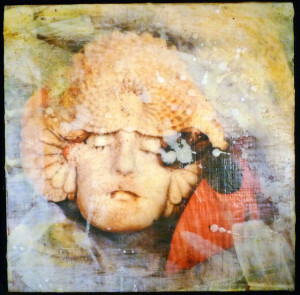 NOTE: A great source for all things encaustic is my friend Michelle Belto’s book, Wax and Paper Workshop. All of her techniques and tips can be used with PhotoEncaustic, and it’s a perfect book for beginners who want to explore the possibilities of working with wax as an art form. If you’d like a gentle introduction to the technique, Michelle and I have collaborated in an online class about Wax and Tissue if you’d like to check it out. Here’s the link – it’s at Roses on my Table art community. Online classes are really fun, particularly since you can learn at your own pace.